MuzikMan's Reviews And News: YES Legend Jon Anderson's “Tour Of The Universe” Audio Soundtrack Now Available Digitally! YES Legend Jon Anderson's “Tour Of The Universe” Audio Soundtrack Now Available Digitally! Asheville, NC – Featuring the unique song writing and vocal talent of legendary YES singer/songwriter, Jon Anderson, his 2005 debut solo concept DVD “Tour Of The Universe” is a musical passage through life, time and the world beyond, featuring many new songs as well as classic hits from his work with YES and his collaborations with Vangelis. Recorded live at XM Radio Studios, Jon's inimitable performance has been crafted with dramatic animation and innovative visuals to create this pioneering concept DVD. 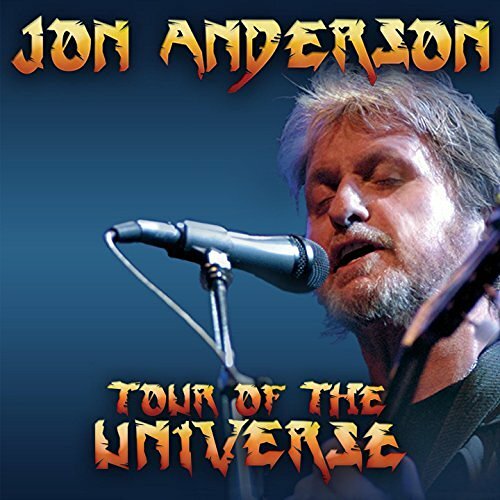 Now for the very first time, much to the excitement of Jon's fans worldwide, the audio soundtrack to “Tour Of The Universe” is available digitally! Jon Anderson was recently presented with the Prog God award at this year's Progressive Music Awards, in association with currencies.co.uk, which was held at London's Underglobe on September 1, 2016! This very special honor is awarded to musical innovators within the world of progressive rock music and sees Anderson joining such music luminaries as Rick Wakeman, Ian Anderson, Peter Gabriel and Tony Banks, in collecting the prestigious award. 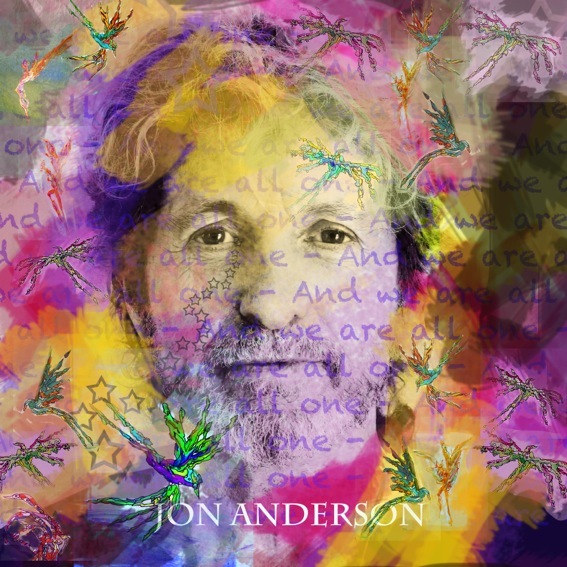 YES's original singer/songwriter for 35 years, Jon Anderson has had a successful solo career, which includes working with such notable music artists as Vangelis, Kitaro, and Milton Nascimento. Jon recently joined musical forces with jazz violin legend Jean Luc Ponty to form the AndersonPonty Band. The duo released their critically acclaimed CD/DVD titled “Better Late Than Never” in 2015 and have completed two successful tours of North America. Jon's new album with Swedish guitarist Roine Stolt titled “Invention of Knowledge” was released to overwhelming critical acclaim on InsideOut Records in 2016.